With the Supreme Court decision in the South Dakota v. Wayfair, Inc. entrepreneurs need to evaluate the five ways this ruling may change their budgets, systems and staffing. It’s the small businesses that will have to make more changes and watch those impacts affecting their overall bottom line. Below is an article from entrepreneur.com that describes the impact the “Wayfair” decision will have on online retailers that will now be required to collect sales tax from customers in individual states, even if they do not have a physical presence in those states. After reading the article, give me a call so we can discuss how I can partner with you to create a streamlined process that will organize your books and save you time and money. To prepare for this major change, entrepreneurs need to evaluate the five ways this ruling may change their budgets, systems and staffing. 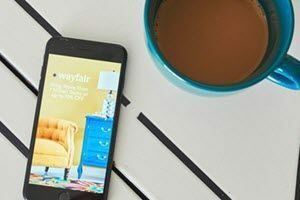 What the Wayfair decision means is that online retailers will now be required to collect sales tax from customers in individual states, even if they do not have a physical presence in those states. And while major retailers such as Amazon, Target and Walgreens may see little impact, it’s the small businesses that need to pay more attention to these changes.